Ald. 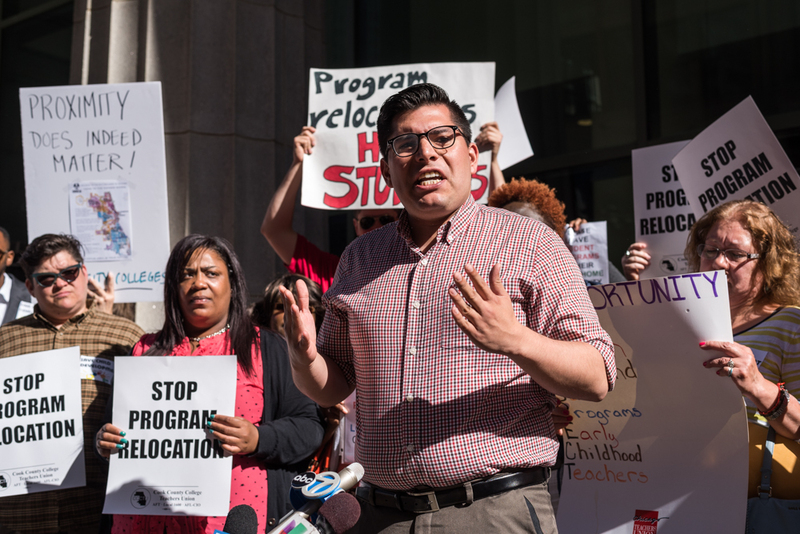 Carlos Ramirez-Rosa (35th) speaks out against the consolidation of child development programs during a press conference outside the City Colleges of Chicago headquarters on June 2, 2016. With City Colleges of Chicago planning to close child development programs at five South and West Side campuses, students – including early learning teachers taking courses to maintain their state certification – will have to travel to Truman College in Uptown if they want to stay in the program. It’s one of the program consolidations that are part of the controversial “reinvention” of City Colleges, which some educators say represents a betrayal of the mission of City Colleges to provide affordable and flexible access to higher education for low-income and working residents. And at a time when demands for oversight of city departments and agencies under the control of Mayor Rahm Emanuel are growing, the move has sparked a call for City Council hearings on changes being instituted at City Colleges. In fact, the program is being eliminated from all the campuses that serve black and Latino communities. Currently hundreds of students are enrolled in the program at campuses where it is being eliminated, said Jennifer Alexander, an instructor in child development at Daley College and president of City College’s faculty council. Some are seeking certification to work in early education, but most are employed in the industry and taking courses to maintain their certification, she said. The difficulty of getting to Truman from distant parts of the city would make continued participation very challenging, if not impossible, particularly for students who are working, she said. Program cuts like this – along with steep tuition hikes for part-time students, as City Colleges tries to encourage full-time enrollment ­ – are among the factors behind recent declines in enrollment, Alexander said. System-wide enrollment has declined from about 110,000 to about 90,000 in the past couple of years, she said. City Colleges has long been a place where aspiring college students could take a few courses while they saved money to transfer to a four-year institution, or where working people could take a course or two to improve their prospects for promotion. But under Chancellor Cheryl Hyman – a City Colleges graduate and ComEd executive appointed to the post by Mayor Richard M. Daley in 2010 – a regiment of business consultants has focused on metrics like graduation rates. That’s one statistic widely touted by Emanuel – who featured Hyman in one of his reelection campaign commercials – despite reports that it’s been goosed up through manipulation. In 2013, for example, City Colleges began awarding “posthumous degrees” to dead students who had completed three-fourths of a program’s requirements, according to Crain’s Chicago Business. In any case, while the graduation rate for full-time students has more than doubled since 2009, they account for less than 1 percent of City Colleges’ student body, according to statistics reported by Crain’s. In February the faculty council voted “no confidence” in Hyman, citing sweeping decisions made with no input from teachers and students, along with moves that reduce access for students. At a meeting Thursday of the City Colleges board of trustees, teachers and child care providers joined aldermen at a press conference calling for hearings. They view investments in the early learning workforce as a key factor in a real expansion of access to child care and early learning opportunities for every family in Chicago. Like graduation rates at City Colleges, early education expansion has been touted by Emanuel as one of his major achievements. 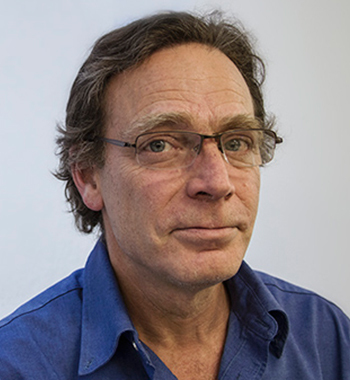 But closer examination reveals that what he’s accomplished has been marginal at best, featuring strict income limits and centralized enrollment that restricts access for many families. It’s nothing like the universal, free pre-K program inaugurated recently in New York City. Emanuel’s governing style has been to hold news conferences where he makes sweeping claims, and then moves on. Those days may be drawing to an end, as his constituents increasingly demand follow-through and real progress. Meanwhile, hundreds of child development students hope they’ll be able to continue their studies. Another way Cheryl Hyman gooses up graduation rates is by moving the Graduation ceremony two weeks before the end of the Spring semester. This ceremony awards degrees not only to students who have not yet finished the semester successfully, but also to those registered for the following Summer semester.